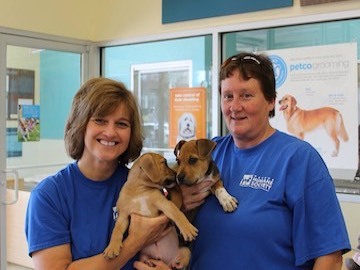 Thank you for your interest in volunteering with Harbor Humane Society. The life saving work we do could not be possible without the love and commitment of our volunteers. We are looking for compassionate and dedicated volunteers to become an essential part of our Harbor team. When thinking about becoming a volunteer here, we ask for a commitment of at least 6 months, with a minimum of 5 hours per month. 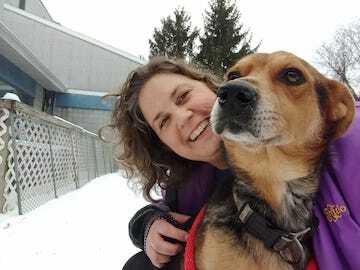 If you are passionate about saving homeless animals’ lives and feel like you can make the requested time commitment, the next step is to sign up for volunteer orientation. 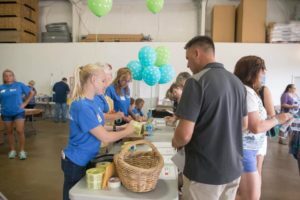 Volunteer orientation runs roughly every six weeks. There is limited space in each orientation class. Looking for other ways to help? Check out some pawsome ways to help save lives below. Can’t fulfill the requested time commitment of being a monthly volunteer but still want to help? Great! 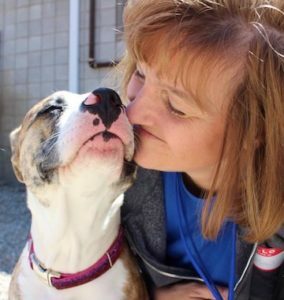 Check out the different ways you can help our homeless animals, right now! Did you know that it takes roughly $25 a day to house one healthy animal for one day at Harbor? That’s why we need you! Help our furry friends by raising money. Penny drives, pop can collections, and lemonade stands are just some of the many amazing ways you can help. Email programs@harborhumane.org if you have any questions. Reading with Fido is a program where you can come to Harbor Humane any time we are open and read to a dog or cat. Harbor even provides the books! 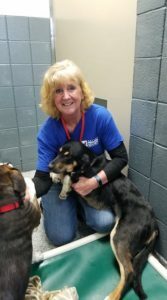 This program not only helps improve the life of shelter animals, it helps you! Is there anyone less judgmental than a furry friend?! 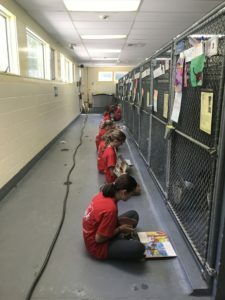 Not only do you get to work on your reading skills but you also get to engage and enrich the live of shelter animals. Interested? All you have to do it stop by the shelter anytime we are open! Every year Harbor hosts a multitude of events that you can be a part of. We do everything from small 3rd party events at breweries to large affairs like our ‘Ales for Tales’ fundraiser. If you have a knack event planning and want to be a part of an amazing team email our development director at development@harborhumane.org. Here at Harbor we love our feline friends. If you also have a love for cats, come anytime we are open and help socialize our cats. 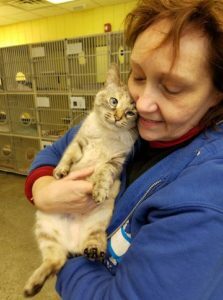 We have a many different cat rooms at our facility, all filled with cats that need love. Durning open hours we encourage you to pet, love, snuggle, and play with our furry feline friends here at Harbor. Questions – email programs@harborhumane.org. Do you know that we use a minimum of one gallon of laundry detergent and bleach a day?! We are always accepting and excited for donations. Check what we need now: Liquid Laundry Detergent (HE), Non-Clumping Cat Litter, Bleach, Clorox Wipes, Peanut Butter, Soft Dog Treats (eg Zuke’s Training Treats), Mini and Small size Milk Bone Treats, 13-gallon Trash Bags, Wet Cat & Kitten Food, Dry Kitten Food, Dry Puppy Food, Wet Puppy Food, Durable Dog Toys/Chews (no rawhides please)Isopropyl, and Old Towels & Washcloths. Questions – email programs@harborhumane.org. Do you have instagram, facebook, snapchat, all the above? We need you to be a social media warrior! Go to our facebook page or instagram and share Harbor’s posts on your personal page. You can also make your own posts or videos and share them to the world! Questions – contact programs@harborhumane.org. 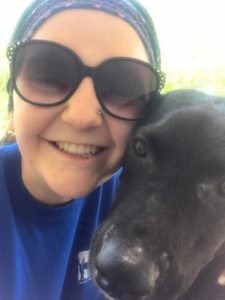 Do you want to help animals but don’t have the time to come volunteer at Harbor? Fostering might be right for you! Our largest need is caregivers for motherless kittens during the spring and summer months. If you are interested, please send your foster application to sheltermanager@harborhumane.org or email with any questions.